Shining Project. A new touching series. The "Shining Project" never ends! 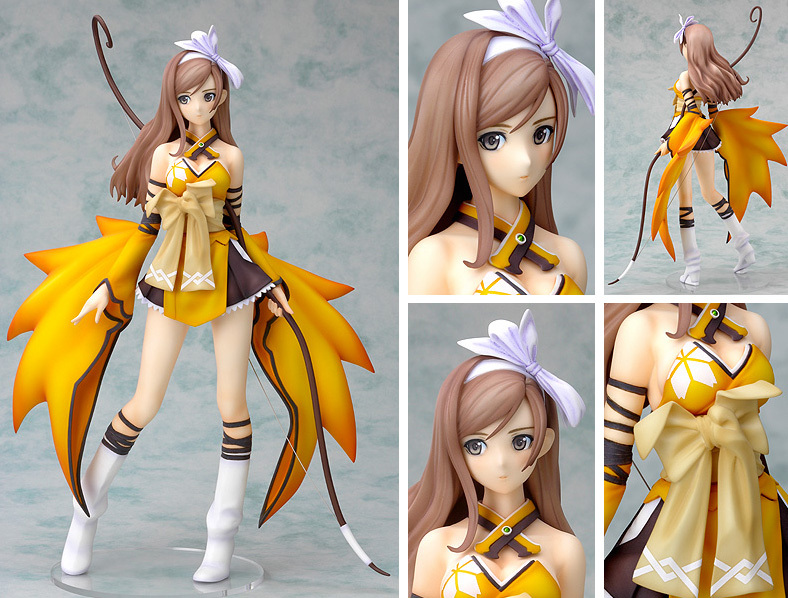 Continuing the popular "Shining Tears" series, comes the recently released sequel "Shining Wind", and from it comes a figure of the shining sun maiden, Kureha! She has been sculpted with a quiet and calm personality, but with true strength inside her, just as the original illustration by Tony showed. Her costume has been recreated in vivid color, without flaw, so there is no doubt that the fans will love this one.